Indy is 6 year old Hafling/Welsh mare, stalled at night. She had laminitis summer 2011, and PN this late winter/spring. The owner is slowly training her up again now. Very good hoof wall quality, and good sole with sole callus on all 4 feet. Flare lateral side in front legs. Shelly hoof 11.00 – 13.00 in front legs. 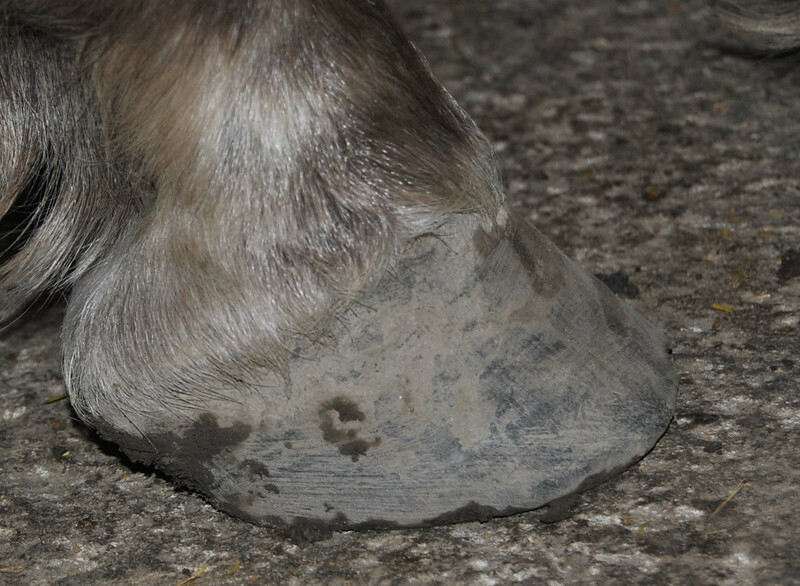 Ware of the heels in hind legs.